The cast of Heathers The Musical lineup for one of their big numbers. Could this be "Seventeen" or "Beautiful"? 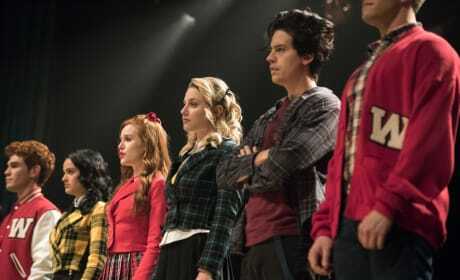 Bring out the croquet mallets and grab your best plaid skirt, the gang at Riverdale High will be performing in Heathers The Musical. 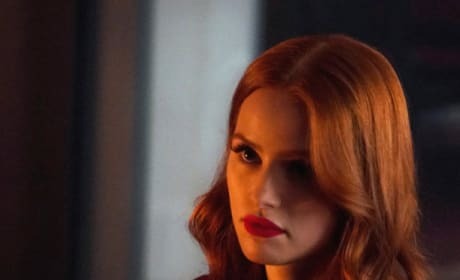 Cheryl Blossom is taking on the role of mean girl, Heather Chandler. She's owning her red glory as the queen bee of Westerberg High. 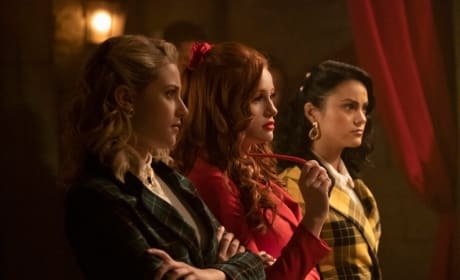 Heather Duke, Heather Chandler, and Heather McNamara rule the halls of Westerberg High. At least, that's what happens in the Heathers musical. The reigning queen of Heathers is ruling the stage. 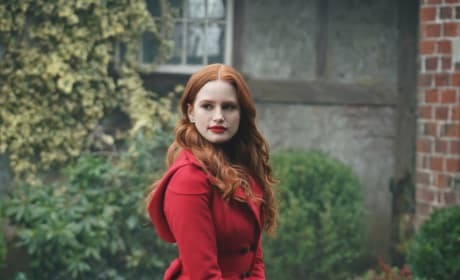 Cheryl Blossom is taking on the iconic role in all her red glory. 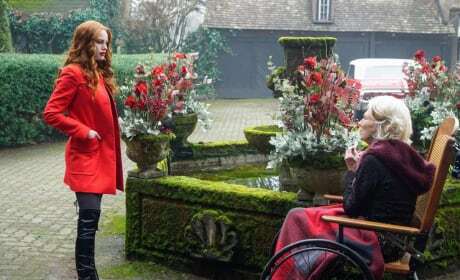 When things get tough, Cheryl has a trusted voice nearby to give her advice: Nana Blossom. Though, she's not as innocent as you think. 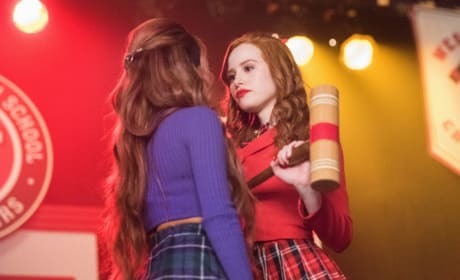 Cheryl and Toni's relationship has reached a troubling crossroads. They need to overcome their problems or things could go wrong. 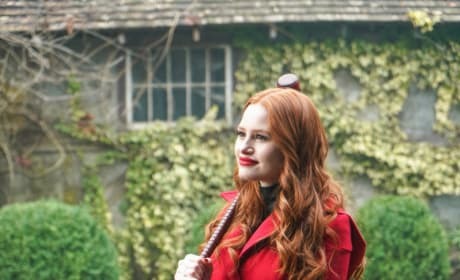 Cheryl has her trusted croquet mallet at the ready to take on any trouble that heads her way. Enemies beware. 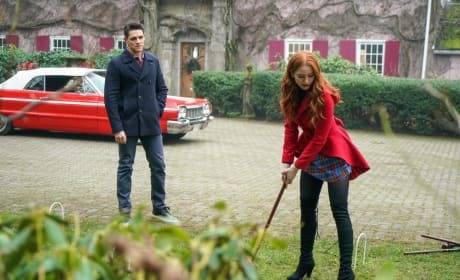 Cheryl is channelling her inner Heather Chandler with a game of croquet. She looks right at home with a competitive game. 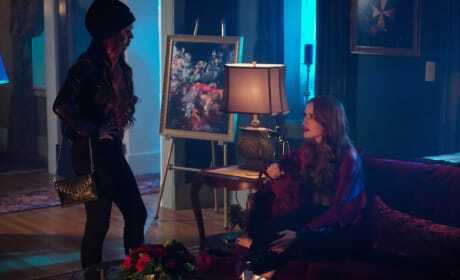 Cheryl has assumed her place to lead the Pretty Poisons along with her girlfriend Toni. With this new gang, she has the power to make some real decisions in town. Cheryl's nail color is on point! She's killing it with her shades of red. She has style, grace, and color for days. 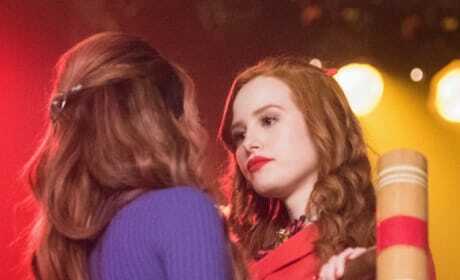 Toni does not look happy in this scene with her girlfriend Cheryl. 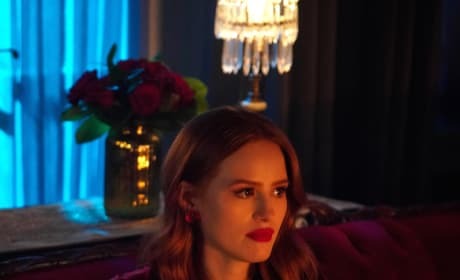 What did Cheryl do to anger her beloved?